Oral arguments are set for June 15 before the Ohio 10th District Court of Appeals in the ongoing Tiger Ridge Exotics case. The arguments follow an October decision by the Court of Common Pleas of Franklin County denying the appeal of Tiger Ridge owner Kenneth Hetrick on a number of issues in the matter. “Without a permit he was merely in violation of the statute,” the reply said. “When licensing for dogs is required and the deadline is not met the state does not take a person’s dog or deny them the ability to get the license. Instead a fine or penalty is imposed. 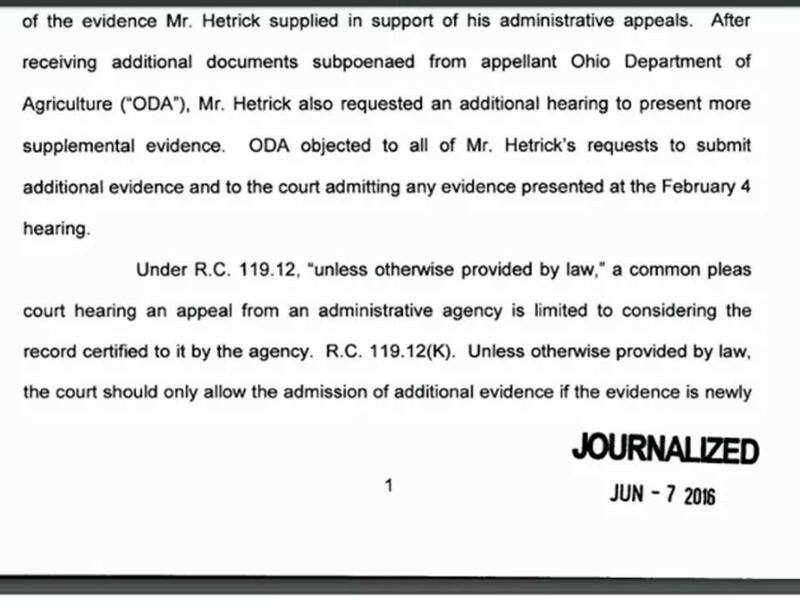 (The ODA) wrongfully denied (Hetrick’s) application for the permit primarily because they felt that he filed past a deadline. The statute does not say permits cannot or will not be issued after a date certain. … Instead, (the ODA) wanted to make an example of” Hetrick. 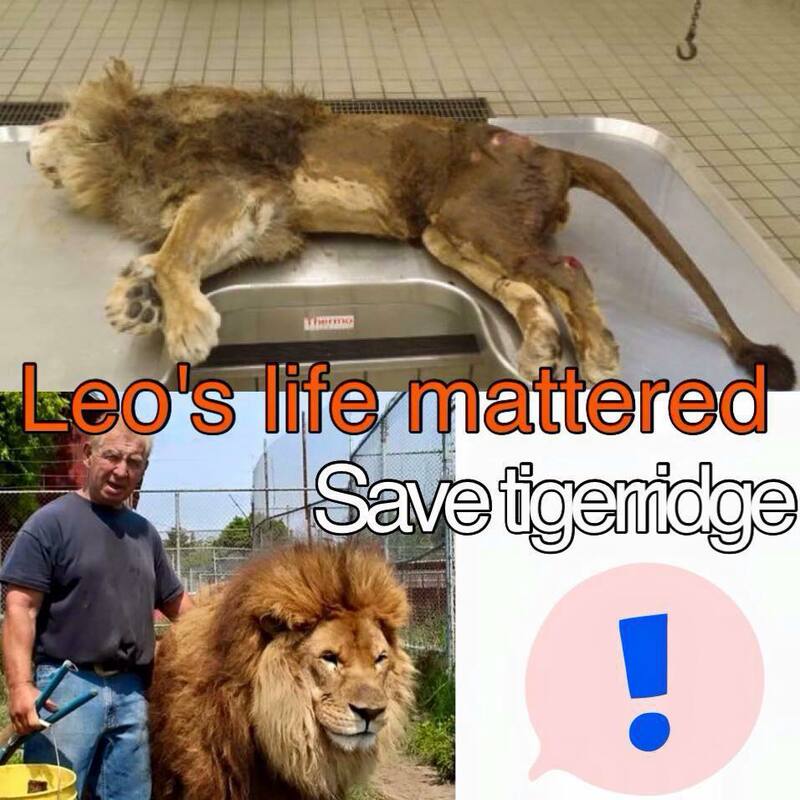 The case has been ongoing since Jan. 28, 2015, when 12 animals — including tigers, a bear, a lion and a tiger/lion hybrid known as a liger — were seized from Tiger Ridge Exotics, on Fremont Pike in Stony Ridge, after the denial of a state-mandated permit for the facility. 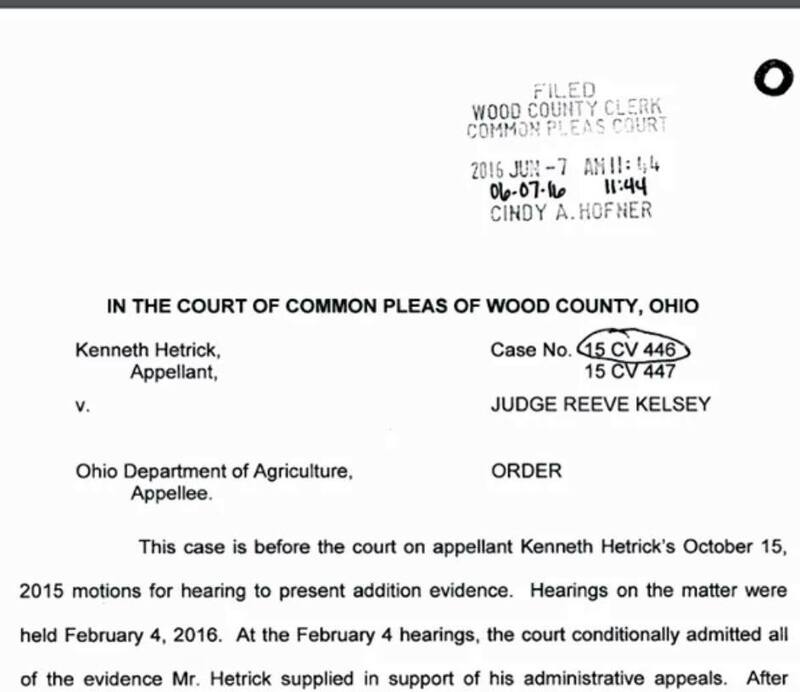 Wood County Judge Reeve Kelsey issued an order for the animals to be returned, which incited a sustained legal back-and-forth between the Ohio Department of Agriculture and Hetrick in multiple jurisdictions. One of the animals, a lion named Leo, was euthanized by the ODA in April 2015. The animal had reportedly been in failing health. The animals have continued to be in state custody since the matter began. Most recently in Wood County court, an evidentiary hearing was held in two related civil cases in February to determine if additional evidence would be allowed in the case. 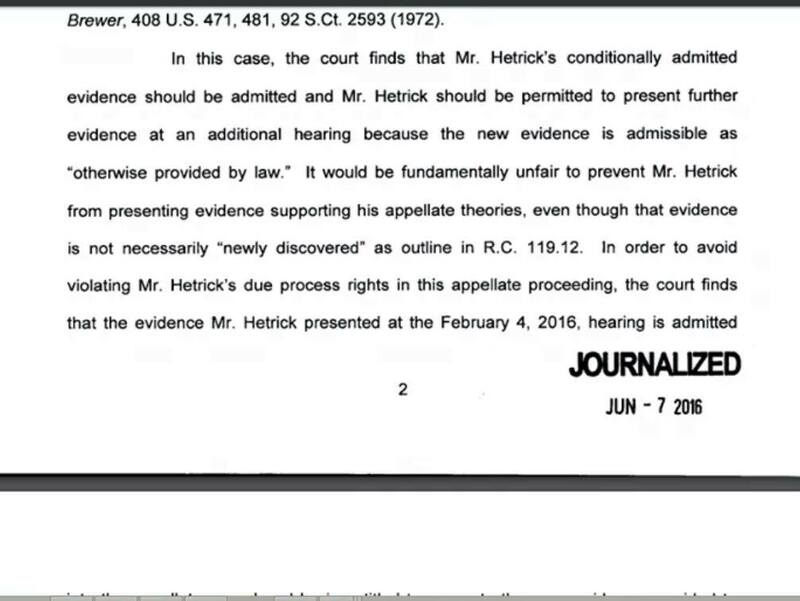 In the original civil case, Hetrick’s attorneys filed a request Wednesday seeking additional time to respond to a motion by the ODA to reconsider a previous motion to dismiss the case. The oral arguments are set for 9 a.m. on June 15. Great news from Kenny Hetrick and Tiger Ridge!!! WE HAVE SUCH GREAT NEWS TO REPORT!!! WE HAVE BEEN GRANTED TO ALLOW ALL!!! EVIDENCE TO BE ADMITTED INTO COURT!!! Everything we brought into court in February, has been allowed in, this is HUGE!!! because it’s everything oda didn’t allow in the admin hearings. This is what PROVES our case!!! 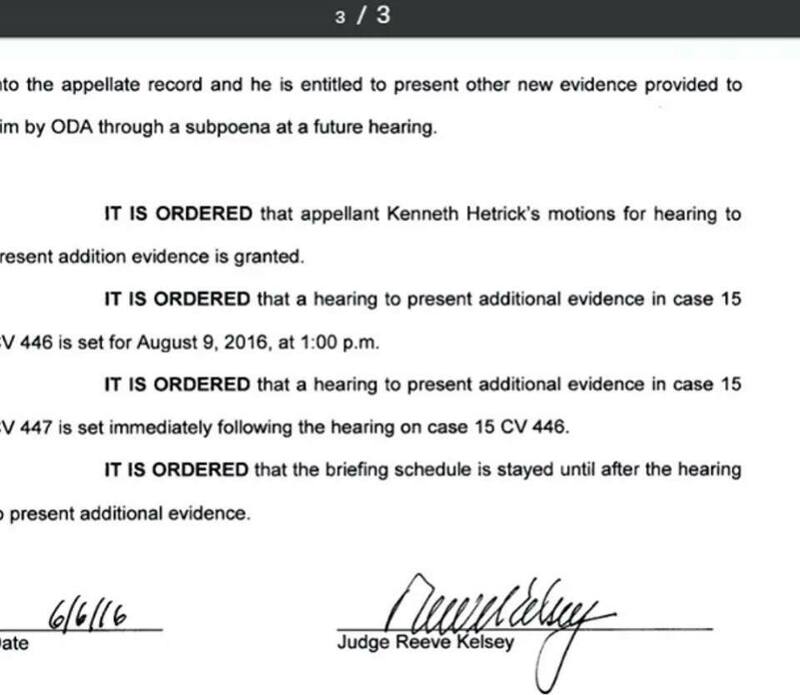 We cannot be more happier right now AND the fact we can add additional evidence which we have a lot more of!!! Things are looking up!!! Thanks to all our supporters, we wouldn’t be here without you!!! Good news has been a long time coming but here is a big ray of sunshine. Attny Novak has been amazing and keeping up the fight for the animals to be returned home!! ~ by topcatsroar on June 10, 2016.